Is Cremation Better Than Burial? Is Cremation Better Than Burial? Why should I preplan my final wishes? How do I begin to preplan a cremation? Creating end-of-life arrangements is an overwhelming and difficult task. It’s something most people are uncomfortable with, and the amount of paperwork and decisions involved can seem daunting. 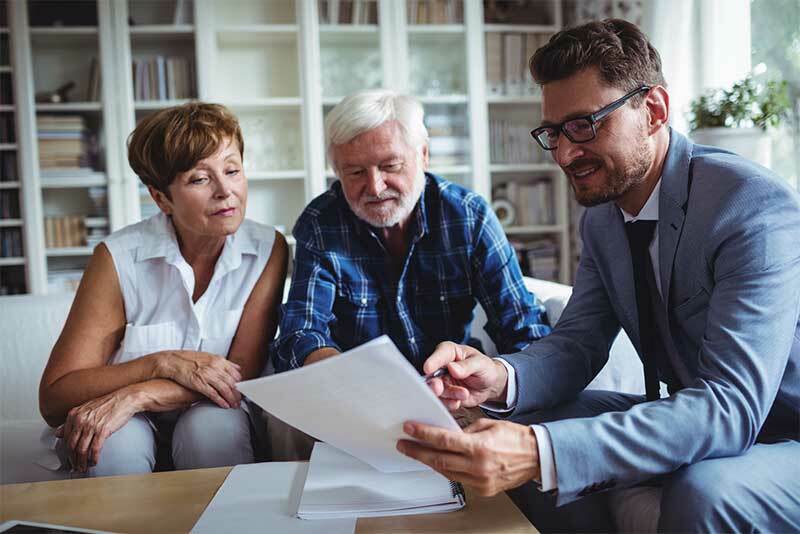 Many find it helpful to include preparing end-of-life arrangements in their retirement planning. Most recent retirees still have their health both mentally and physically, so it is a perfect time to plan ahead for the type of funeral or memorial services or even how one wants to have their body cared for. Doing so allows you to be in control and discuss options that will make your loved ones more comfortable during a difficult and stressful time. The convenience and financial savings that are afforded with cremation are probably why many Americans have stopped seeing it as an “alternative”, and embraced it as the most valid option. In fact, as of 2015 the cremation rate in America has risen to nearly 49%, surpassing the burial rate of 45%. Click to see more statistics about cremation trends in the United States. The first, and most important, decision to make in your planning is between that of cremation and burial. Oftentimes people have a steadfast preference based familial or religious traditions. However, if you find yourself unsure as to which is best for you, there are a number of factors to consider. There are also certain limitations that come with burials and funerals. For example, if you would rather avoid a large fee for embalming, the wake and burial must happen very quickly. This could be a problem if family and friends from out of town are unable to travel in time to be a part of the service. The national average cost of cremation is between $500 and $4,000 depending on if you opt for a direct cremation or to include a service. Along with the significant financial savings of cremation, there is also great flexibility in service and memorialization options. Cremains can be stored in a beautiful urn and put on display, scattered at a place of significance to the deceased (rather than being restricted to a cemetery), made into a piece of jewelry, and so much more. You are also free to take the time to plan a meaning memorial service and allow loved ones from out of town the time to join in. Cremation is also far more environmentally friendly compared to burials. It allows the conservation of natural land and prevents the release of toxins into the earth. There is societal misconception that unless you are sick or otherwise aware of your impending death, it is not necessary to have a plan in place. The focus of retirement planning tends to be on living arrangements, sources of income, and risk management. All of these are vital components that need to be carefully considered, but many people get so caught up in planning how they are going to live that they neglect to plan for what will happen after they are gone. While this isn’t a topic everyone is immediately comfortable discussing, there are many benefits to preplanning one’s final wishes. In fact, according to The Conversation Project 90% of seniors say that they want to talk to loved ones about end-of-life care but only 27% have done so. Too often this becomes a massive financial burden that is unexpectedly put on our loved ones, but research and smart decision-making can allow it to be an affordable and beneficial process. Many people are very hesitant to begin planning final wishes and arrangements. While this is certainly understandable, the fact is that these are realities everyone will have to face eventually. Too many people find themselves in the distressing position of unexpectedly losing a loved one, and being forced to deal with complicated legal and financial decisions while grieving. They often become the victims of emotional overspending, and are unable to understand the substantial amount of paperwork that must be gathered. Making these arrangements in advance allows you clarity, control, and unparalleled peace of mind. Preplanning comes with many benefits. There are a great number of decisions to be made, and handling them with full mental and physical health puts you in the best position to ensure that you are happy with the plans and the price. By locking down a cremation plan, you are also locking down the price. Even if cremation costs go up, your price is unaffected. Additionally, if you include travel protection in your plan, you will never have to worry about extra costs or considerations should you pass while traveling or if you move. You are free to live your life to the fullest, knowing that you are prepared for anything. Once you or your loved one has made the decision to preplan their final arrangements, beginning the process can seem daunting. Many people are very hesitant to discuss the final arrangements of their loved ones. Whether it’s a desire to avoid morbidity, avoid considering your own mortality, or the unpleasant thought of losing someone you care about, this important discussion is often danced around. However, it is unquestionably a situation where putting it off will make things much harder. So how do you bring this topic up with your parents, grandparents, or loved ones? How do you broach the subject, and what are the right questions to ask? Neptune Society understands this struggle that so many go through, and have created a Conversation Guide to help steer you in the right direction. It may be difficult or uncomfortable at first, but we have found that starting this process while everyone involved is mentally and physically healthy will have the best results. In order to gather all the right paperwork, make all necessary decisions, and ensure you fully understand how the process works, you can read the Neptune Society Cremation Answer Guide. Sometimes a loss occurs too soon or very unexpectedly, and not everybody will have had the time to preplan their final arrangements. If you find yourself in such a situation, cremation is still the most efficient and affordable option. If you notify us of a loved one’s passing, Neptune Society will quickly send out professional personnel to bring the deceased into our care. Our staff can also assist you in gathering all the documents and signatures that will be required, and can oftentimes do this over the phone. We understand that no matter how streamlined we make the process, handling all the practical matters of a death is incredibly hard to navigate while going through the trauma of grief. Interested in preplanning? Fill out the form on this page for more information about cremation preplanning and pricing in your area. Published February 20th, 2017 | Category: Resources.